CableTV.com is currently looking for a Marvel die-hard to watch everything from Iron Man up through Ant-Man and the Wasp. Since it's not going to be available on home video in time, they've decided not to include Captain Marvel in this marathon that, all told, will last more than 40 hours. Here's what they had to say about it in their listing. "The hero we're looking for is not only a Marvel fanatic, but also an active, outgoing social media personality who'd be enthusiastic about live-tweeting their MCU marathon experience while tagging CableTV.com (@CableTV, #CableTV). 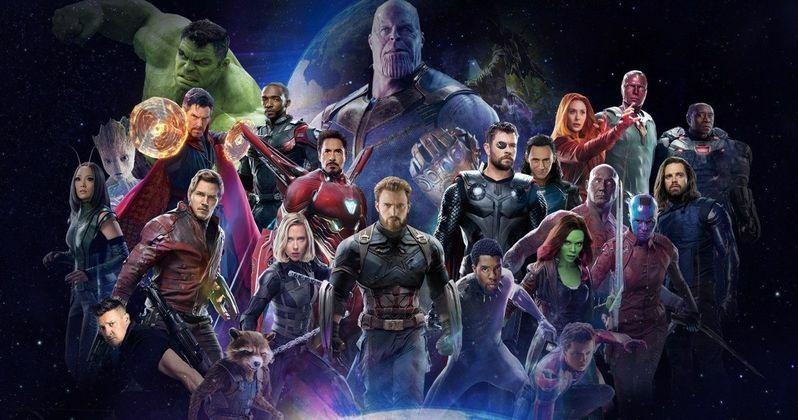 Once your MCU binge-watch and live-tweeting extravaganza is complete, we'll ask you to share your takeaways from the movies so we can make some beautiful, badass rankings together." In addition to the $1,000 cash payout, they're also going to throw in a Blu-ray copy of every single MCU movie release so far. They're also throwing in a Captain America popcorn popper, Orville Redenbacher popcorn kernels, Thanos Infinity Gauntlet mug, Iron Man snuggie, $100 Grubhub gift card and more various Marvel gear. That's not bad for a movie marathon. A very serious movie marathon, to be sure, but still.